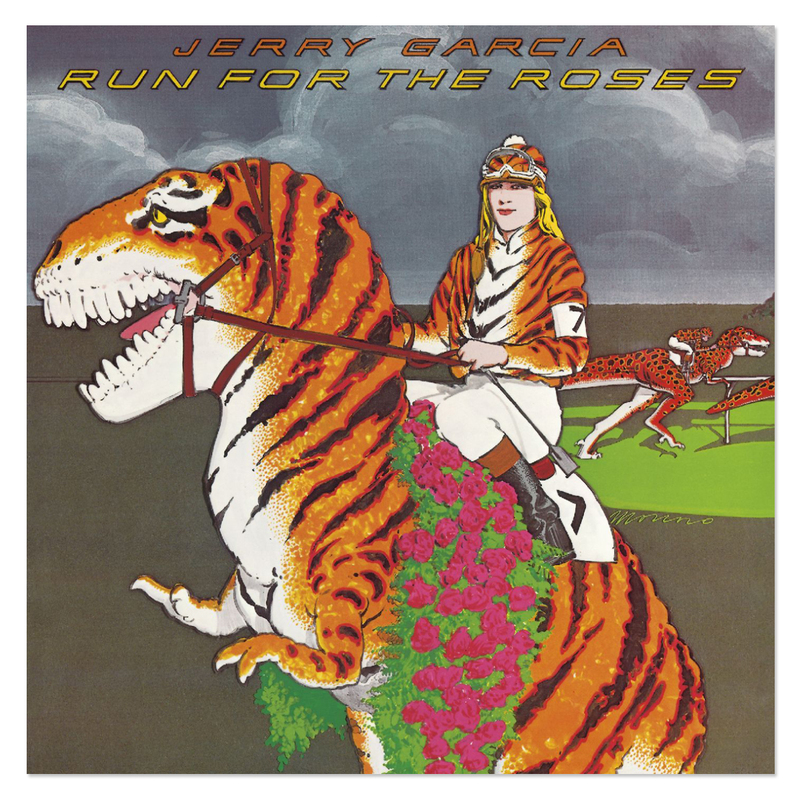 Jerry's final solo LP, 1982's Run For The Roses is split between originals, including the extraordinary "Midnight Getaway," and choice covers -- all performed by various configurations of Garcia, Hunter, and Kahn. This expanded edition, with audio remastered by Joe Gastwirt, adds six previously unreleased tracks from the original sessions, including the Dylan classics "Tangled Up In Blue" and "Simple Twist Of Fate." The Bonus Material including studio versions of "Fennario" (Pretty Peggo O), "Tangled Up In Blue," "Simple Twist of Fate" and "Dear Prudence" makes this re-issue a must for serious fans. Tangled Up In Blue appears in a near finished state as recorded during the sessions for the original album. Compared to live versions, it is more up tempo and polished. It appears that Jerry never added his final lead guitar track but his guitar work is evident in the mix. Fennario and Simple Twist appear similarly without lead guitar breaks much like "Believe It Or Not" was presented on the "So Many Roads" box set release. Dear Prudence is a full production with horns from 1979.